Google is courting enterprise customers like never before, but it has lacked a proper mobility framework for Android since the OS debuted. Now the company wants to change the game with Android for Work, but could its efforts prove to be too little, too late? Google's push into the enterprise gained steam last week when the company finally launched Android for Work, a containerization platform and standalone app for older Android devices that lets IT administrators create separate corporate and personal workspaces on Android smartphones and tablets. Android for Work is Google's latest attempt to address two of Android's most significant challenges for IT: security and fragmentation. The latest version of Android, v5.0, known as "Lollipop," now supports separate spheres for personal and work. Devices running older versions of the OS can access some of the same features in a separate Android for Work app. Google is taking a partner-centric approach in hopes of encouraging more businesses to adopt Android for enterprise applications and protocols. To this end, the company partnered with many well-known enterprise mobility management (EMM) providers, including BlackBerry, Citrix, IBM, MobileIron, SAP, Soti and VMware. After rolling out Android for Work, IT administrators publish enterprise apps to the Google Play store through an EMM provider, and they can manage company data and applications on Android devices using a single console. Instead of trying to compete with established EMM or mobile device management (MDM) companies, Google embraced the tools and platforms that are already familiar to many IT professionals. Google seems to have finally acknowledged the importance of attracting enterprise customers to Android, but it's still in the early stages of laying its framework. Until recently, Google left the enterprise mobility features and apps to others, and Android for Work could ultimately prove to be too little, too late. "Android for Work will move the needle slightly for Android in the enterprise, but it won't create a tipping point," says Forrester Analyst David Johnson. The new product does address a few key pain points for CIOs and IT staff, according to Johnson. "Previously they would have to either deploy and maintain specialized, secure apps for common things like email, calendar and productivity, or invest in app wrapping or other device- and app-management approaches to strike the balance between usability and security," Johnson says. Android for Work is designed to work with both corporate- and employee-owned devices, thereby enabling employees to use personal Android devices for work, but Johnson says some people and employers do not want total separation of work and personal data on their phones and tablets. Employees may rest easily knowing IT staff can't snoop through their personal information, but many would rather not surrender complete control over their work-related documents, according to Johnson. "If they work on something they don't want to risk losing access to, they're either going to do that work on another device or find another way to ensure they won't lose access to it at the will of their employer later." Rajiv Taori, Citrix's vice president of product management in its mobile platforms group, says enterprises are hungry for capabilities that can help them achieve their mobility initiatives. (Citrix is one of Google's Android for Work partners.) 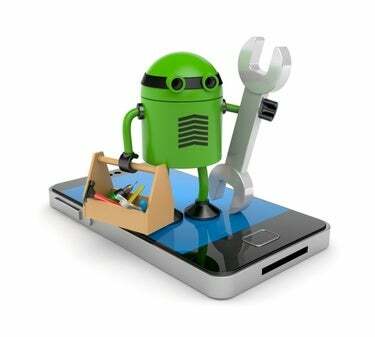 He believes Google is making huge strides with Android for Work thanks to the new containerization offering. The traditional workspace is changing rapidly, and Android for Work is a manifestation of what Taori and others at Citrix call the "software-defined workspace." "We want to make sure that people can be as productive and as effective doing their work no matter where they are, on any device that they might be on, on any network that they may be on," Taori says. It is essential for IT to be able to isolate, secure and protect enterprise data, because employees can often access this information from any device, at any time, according to Taori. Android for Work's value proposition for both sets of primary stakeholders — IT staff and the individual users — are the new capabilities that allow them to be as productive on Android devices as they are when they’re at the office, Taori says. Google's comprehensive package "reduces the risk of fragmentation and makes it easier to accept Android into your enterprise," says Ryan Faas, mobile strategist at MobileIron, another Android for Work partner.